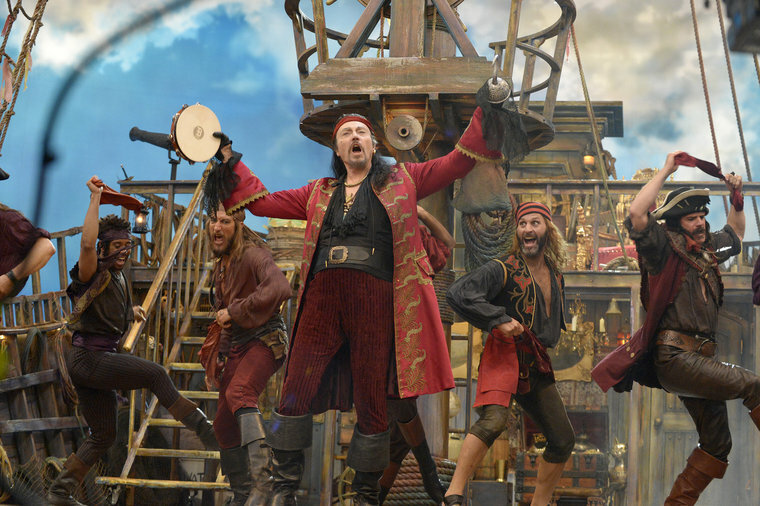 Lavishly staged and impressively ambitious in scope, Peter Pan Live! nonetheless pulls up short in terms of the type of ironic edge or knowing wink needed in modern entertainment. No sassy Genie or green-faced anti-heroine here. The stage musical was filmed live for television in 1955, 1956 and 1960, with repeat screenings consolidating a strong sentimental memory for American families at the time. This new version, produced by Craig Zadan and Neil Meron, has strong theatrical ties, with direction and choreography by Rob Ashford, and costumes by Catherine Zuber. The live version includes several risky production elements, including actors flying, a live dog (Bowdie) as Nana and the CGI insertion of Tinkerbell. 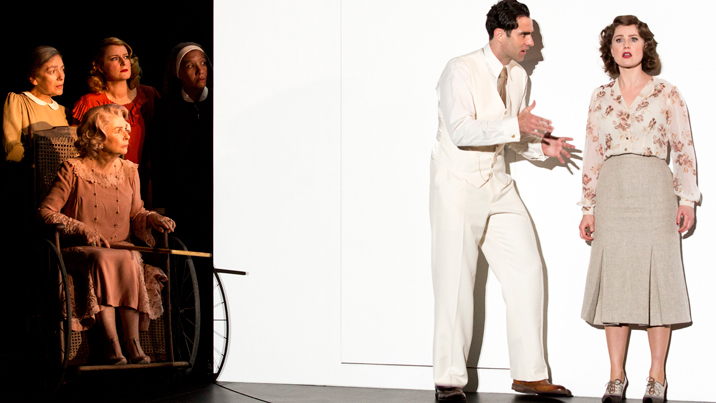 Production values are high, with the sets and costumes having a lavish, polished appearance. From the serene comfort of the Darling family nursery to the colourful spectacle of Never Never Land, abundant imagination and financial resources are evident, even if the rear backdrops look somewhat like pantomime sets on steroids. Allison Williams (of Girls fame) makes a handsome, earnest Peter, occasionally showing flashes of confident sparkle. Williams flies with gymnastic flair, and her singing voice is of an even greater quality than may have been imagined. Christopher Walken, on the other hand, seems to be performing behind some sort of fog, looking entirely unthreatening with his effete, drawn-on eyebrows. Walken’s speak-singing of his songs is fine and he is a good sport in joining the choreography, but as a vortex, sucking in the energy the chorus tries so hard to create, he is a liability to the production, which has very little atmosphere or tension to begin with. The musical makes a sedate start in the nursery, bolstered though it is by Broadway royalty in the gracious form of Kelli O’Hara as Mrs Darling. O’Hara thankfully has a chance to display her divine soprano in the final scene. 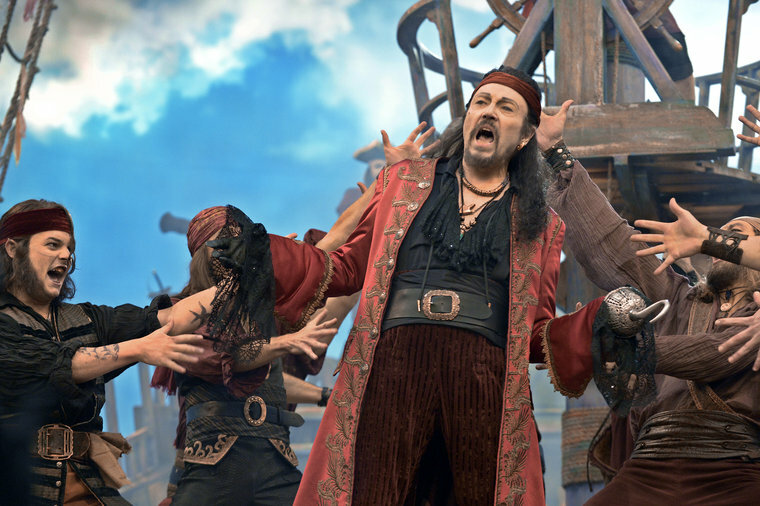 Christian Borle is a fine partner for O’Hara as the proudly pompous Mr Darling but enjoys no chemistry whatsoever with Walken when later playing the long-haired, tattooed Smee. The energy level rises somewhat with catchy tune “I’m Flying” as Peter and the Darling children soar about the nursery before taking off into the night sky over London. John Allyn and Michael Park look like their Disney counterparts come to life as John and Michael Darling. 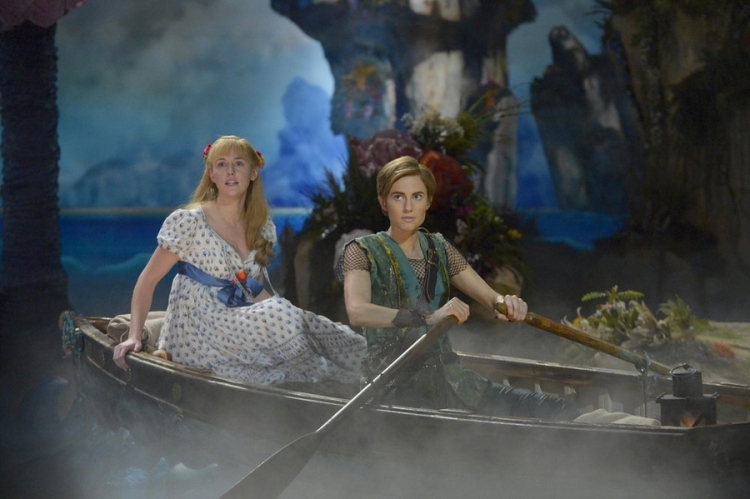 Taylor Louderman is a sweet, wide-eyed Wendy Darling with a lovely, breathy soprano. 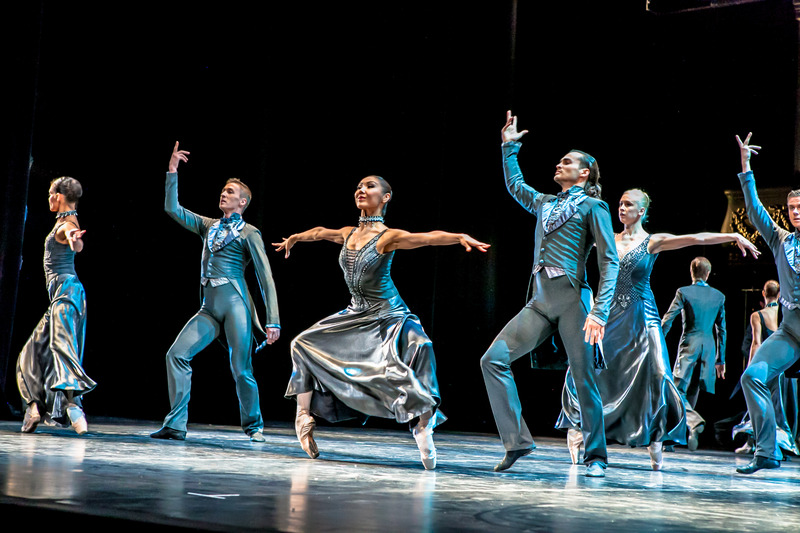 The greatest asset in entertainment terms is surely Ashford’s stunning, witty, tightly drilled choreography, which features in numerous extended sequences. Tap-dancing pirates are a hoot in “Vengeance,” and the concept of Native Islanders hiding from Lost Boys in The Usual Rivalries” is brilliantly realised. “True Blood Brothers” is another spectacular showstopper. 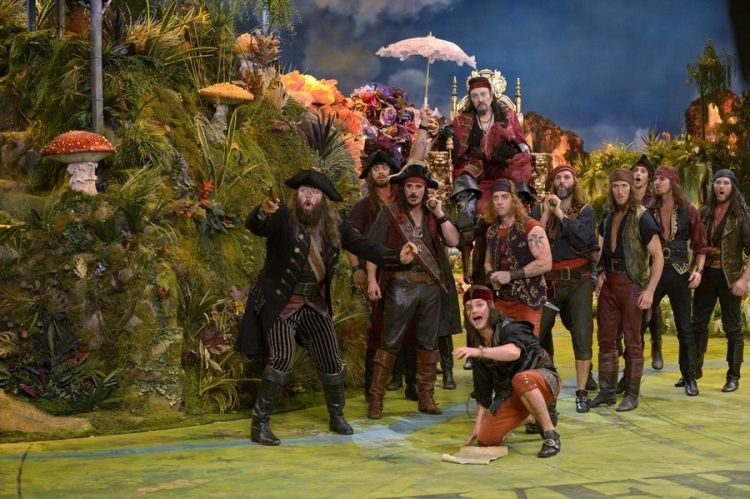 Worth watching for the dancing, Peter Pan Live! may divert and amuse young children, but as a rounded piece of entertainment, there are so many other titles that would have delivered the goods made possible by the massive budget and terrific talent involved. 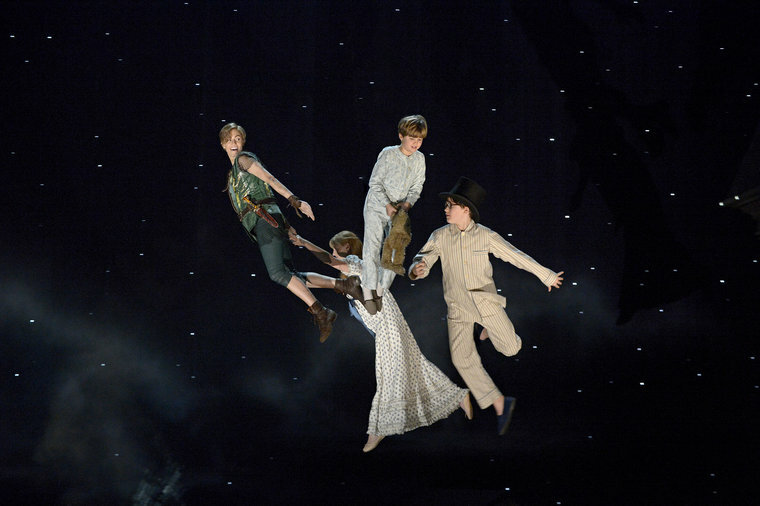 Peter Pan Live! aired on NBC on Thursday 4 December 2014. An Australian airdate is yet to be set. 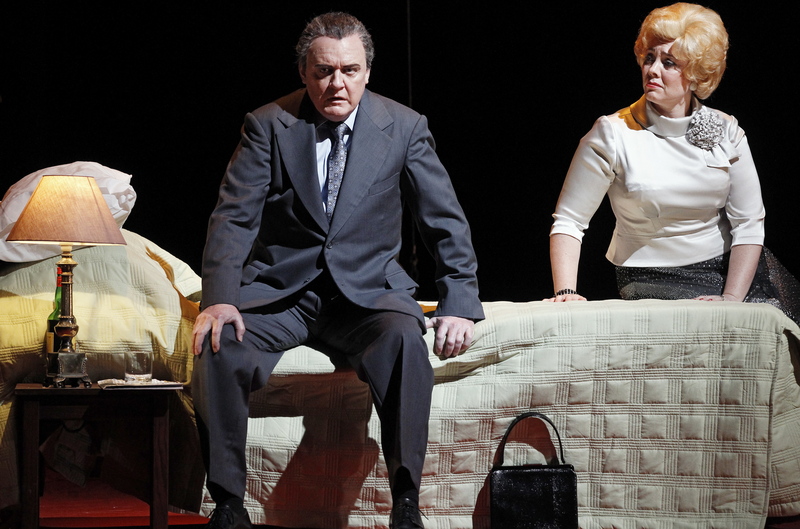 Man in Chair also reviewed The Sound of Music Live!.